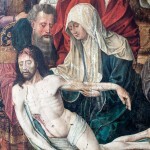 The Deposition or Pieta is a work of the anonymous Flemish artist from the 15th century. 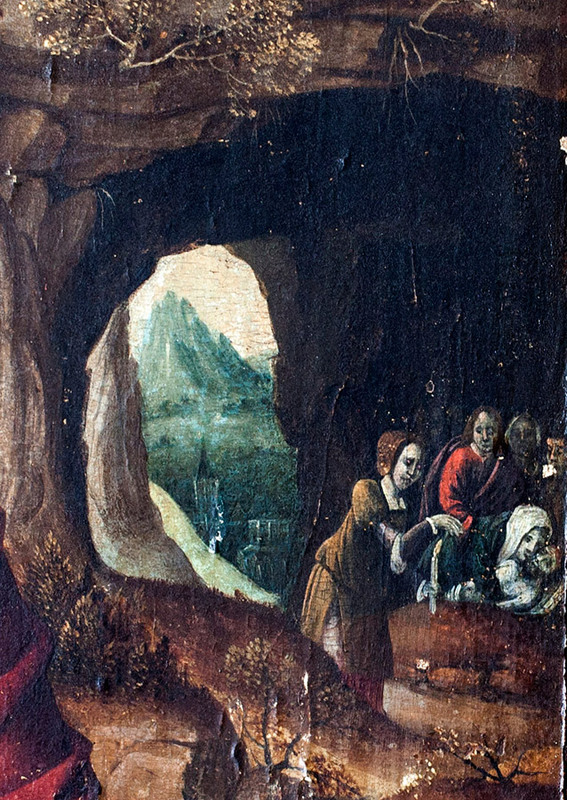 This painting was acquired as a part of the initial art collection of the court compound prior to World War Two. Nowadays, it is displayed in the library of the Royal Palace. It is a relgious painting that represents a Virgin and St. Johan holding the tortured body of Christ. 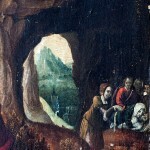 The base of the entire composition is placed in the left bottom corner of the painting. The main protagnostis the Virgin, St. John and Mary Magdalen are surrounded with other New Testament characters all dressed in the contemporary, Renaissance clothing. They are all placed in the imaginary landscape that caries the profound religious symbolism. Such a developped landscape, together with the representation of the deep emotional states of the protagnostits denotes that the painter must have been an outstanding artist of his time. The iconographic scene of Deposition was developed in 14th century Germany and is very similar to the late Medieval imagery of Risen Christ represented often with Instruments of Passion that denote the importance of His suffering and Redemption. However, the subject of Pieta sifts the focus from the symbolic representation of Christ’s passion to the more universal message of the human suffering. 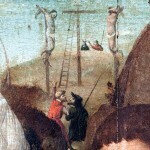 In accordance with the religious iconography of the 15th century this painting also displays the brutality visible on Christ’s tortured body. His face is bathed in blood, the wound of the spear is still leaking blood and his dead body is limp and lifeless. 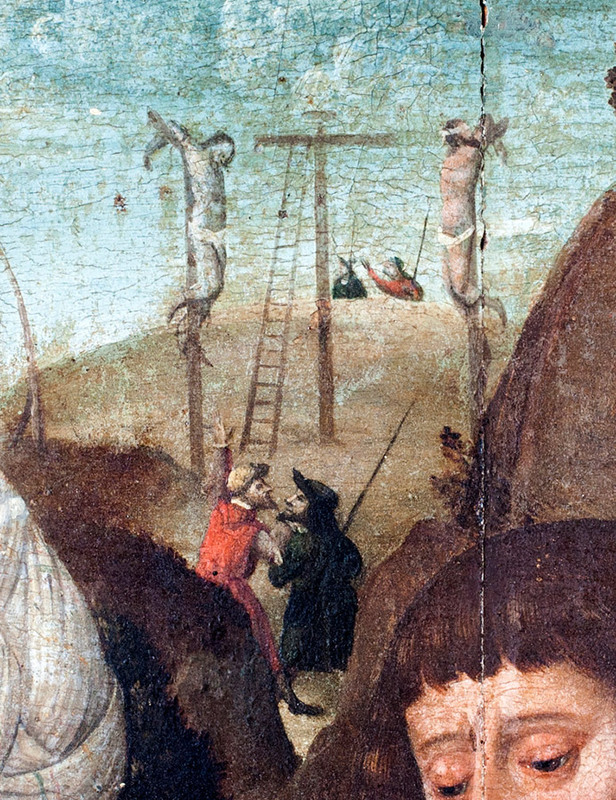 At the background one can still perceive the other crucified bodies on the Calvary. By its small format and subject matter this painting was created as a small devotional object, an icon destined for private devotion. The refinement of its execution and its high artistic value denote that most likely this painting was commissioned for the private chapel of a Flemish aristocrat. In 15th century Flanders a new style of Renaissnace art was born, completely independently from the one developed in Italian city-states. Like their Italian peers Flemish artists also experimented with linear perspective and the new concepts of time and space. The period of Flemish Renaissance or «ars nuova» was also credited with the invention of oil paitning that is traditionally ascribed to Jan Van Ayck. He also created some of the emblematic works of the Flemish Renaissance – The Arnolfini portrait, The Man with the Red Turban and the most famous polyptich of the time The Ghent Altarpiece or the Adoration of the Mystic lamb. Beside Van Aycke one has to mention other important artist: Robert Campin, Petrus Christus, Roger van der Weyden, Hans Memling that had pivotally marked the art of the Flemish Renaissance.